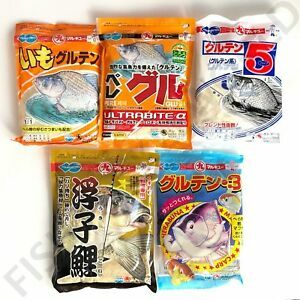 -Select- #1235 Guruten 5 #1274 Guruten 3 #1233 Imo Guruten #1338 Ukigo #1817 Pere Glu "Ultrabite"
COMBINED SHIPPING We will also combine the shipping cost of your multiple items purchased of CAD $5.00 for additional bait of the same weight size. Please add everything first to you Ebay Cart, then go forward with the checkout to get your combined shipping fees and SAVE MONEY!!!! !